Guided walking tours highlight Naval Academy history and midshipman life. 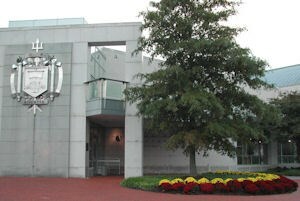 Center features film, exhibits on USNA mission, John Paul Jones, goat mascot. Gift shop. Jan-Feb: 9am-4pm; Mar-Dec: 9am-5pm; closed Thanksgiving, Christmas and New Years Day.